A build up of a protein called alpha synuclein inside neurons is one of the characteristic feature of the Parkinsonian brain. This protein is believed to be partly responsible for the loss of dopamine neurons in this condition. A similar build up of alpha synuclein is also seen in the deadly skin cancer, Melanoma… but those cells don’t die (?!? )… in fact, they just keep on dividing. Why is there this critical difference? In today’s post we look at an interesting new study that may have solved this mystery. Parkinson’s disease has a very strange relationship with the skin cancer melanoma. As we have stated in previous posts (Click here, here, here and here to read those posts) people with Parkinson’s disease are 2-8 times more likely to develop melanoma than people without Parkinson’s (And this finding has been replicated a few times: Olsen et al, 2005; Olsen et al, 2006; Driver et al 2007; Gao et al 2009; Lo et al 2010; Bertoni et al 2010;Schwid et al 2010; Ferreira et al, 2010; Inzelberg et al, 2011; Liu et al 2011; Kareus et al 2012; Wirdefeldt et al 2014; Catalá-López et al 2014; Constantinescu et al 2014; Ong et al 2014). The truly baffling detail in this story, however, is that this relationship is reciprocal – if you have melanoma you are almost 3 times more likely to develop Parkinson’s disease than someone without melanoma (Source: Baade et al 2007; Gao et al 2009). Melanoma is a type of skin cancer. It develops from the pigment-containing cells known as melanocytes. Melanocytes are melanin-producing cells located in the bottom layer (the stratum basale) of the skin’s outer layer (or epidermis). 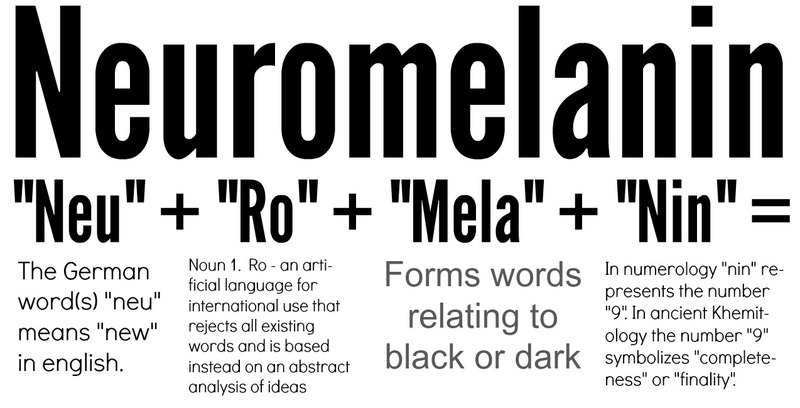 Melanocytes produce melanin, which is a pigment found in the skin, eyes, and hair. It is also found in the brain in certain types of cells, such as dopamine neurons (where it is referred to as neuromelanin). Melanomas are usually caused by DNA damage resulting from exposure to ultraviolet radiation. Ultraviolet radiation from tanning beds increases the risk of melanoma (Source), as does excessive air travel (Source), or simply spending to much time sun bathing. Approximately 2.2% of men and women will be diagnosed with melanoma at some point during their lives (Source). In women, melanomas most commonly occur on the legs, while in men they are most common on the back. Melanoma makes up 5% of all cancers (Source). Generally, melanomas is one of the safer cancers, as it can usually be detected early by visual inspection. This cancer is made dangerous, however, by its ability to metastasise (or spread to other organs in the body). Are there any genetic associations between Parkinson’s disease and melanoma? When the common genetics mutations that increase the risk of both conditions were previously analysed, it was apparent that none of the known Parkinson’s mutations make someone more susceptible to melanoma, and likewise none of the melanoma-associated genetic mutations make a person vulnerable to Parkinson’s disease (Meng et al 2012;Dong et al 2014; Elincx-Benizri et al 2014). In fact, researchers have only found very weak genetic connections between two conditions (Click here to read our previous post on this). It’s a real mystery. Are there any other connections between Parkinson’s disease and melanoma? Another shared feature of both Parkinson’s disease and melanoma is the build up of a protein called alpha synuclein. Alpha synuclein is believed to be one of the villains in Parkinson’s disease – building up inside a cell, becoming toxic, and eventually killing that cell. Authors: Matsuo Y, Kamitani T.
Journal: PLoS One. 2010 May 5;5(5):e10481. In this study, researchers from Japan found that alpha synuclein was detected in 86% of the primary and 85% of the metastatic melanoma. Understand that the protein is not detectable in the non-melanoma cancer cells. So what is it doing in melanoma cells? In their study, the German researchers looked at levels of alpha synuclein in melanoma cells. They took the melanoma cells that produced the most alpha synuclein and treated those cells with a chemical that inhibits the toxic form of alpha synuclein (which results from the accumulation of the protein). What they observed next was fascinating: the cell morphology (or physically) changed, leading to massive melanoma cell death. The investigators found that this cell death was caused by instability of mitochondria and a major dysfunction in the autophagy process. Mitochondria, you may recall, are the power house of each cell. They keep the lights on. Without them, the lights go out and the cell dies. Autophagy is the garbage disposal/recycling process within each cell, which is an absolutely essential function. Without autophagy, old proteins and mitochondria will pile up making the cell sick and eventually it dies. Through the process of autophagy, the cell can break down the old protein, clearing the way for fresh new proteins to do their job. Waste material inside a cell is collected in membranes that form sacs (called vesicles). These vesicles then bind to another sac (called a lysosome) which contains enzymes that will breakdown and degrade the waste material. The degraded waste material can then be recycled or disposed of by spitting it out of the cell. What the German research have found is that the high levels of alpha synuclein keep the mitochondria stable and the autophagy process working at a level that helps to keeps the cancer cell alive. Next, they replicated this cell culture research in mice with melanoma tumors. When the mice were treated with the chemical that inhibits the toxic form of alpha synuclein, the cancer cancer became malformed and the autophagy process was blocked. The researchers concluded that “alpha synuclein, which in PD exerts severe toxic functions, promotes and thereby is highly beneficial to the survival of melanoma in its advanced stages”. So what does all of this mean for Parkinson’s disease? Title: Anle138b: a novel oligomer modulator for disease-modifying therapy of neurodegenerative diseases such as prion and Parkinson’s disease. Authors: Wagner J, Ryazanov S, Leonov A, Levin J, Shi S, Schmidt F, Prix C, Pan-Montojo F, Bertsch U, Mitteregger-Kretzschmar G, Geissen M, Eiden M, Leidel F, Hirschberger T, Deeg AA, Krauth JJ, Zinth W, Tavan P, Pilger J, Zweckstetter M, Frank T, Bähr M, Weishaupt JH, Uhr M, Urlaub H, Teichmann U, Samwer M, Bötzel K, Groschup M, Kretzschmar H, Griesinger C, Giese A. In this first study the researchers discovered Anle138b by conducted a large screening study to identify for molecules that could inhibit the toxic form of alpha synuclein. They next tested Anle138b in both cell culture and rodent models of Parkinson’s disease and found it to be neuroprotective and very good at inhibiting the toxic form of alpha synuclein. And the treatment looks to be very effective. In the image below you can see dark staining of toxic alpha synuclein in the left panel from the brain of an untreated mouse, but very little staining in the right panel from an Anle138b treated mouse. Importantly, Anle138b does not interfere with normal behaviour of alpha synuclein in the mice (such as production of the protein, correct functioning, and eventual degradation/disposal of the protein), but it does act as an inhibitor of alpha synuclein clustering or aggregation (the toxic form of the protein). In addition, the investigators found no toxic effects of Anle138b in any of their experiments even after long-term high-dose treatment (more than one year). Authors: Levin J, Schmidt F, Boehm C, Prix C, Bötzel K, Ryazanov S, Leonov A, Griesinger C, Giese A. Journal: Acta Neuropathol. 2014 May;127(5):779-80. During the first study, the researchers had started Anle138b treatment in the mouse model of Parkinson’s disease at a very young age. In this study, however, the investigators began treatment only as the symptoms were starting to show, and Anle138b was found to significantly improve the overall survival of the mice. One particularly interesting aspect of Anle138b function in the brain is that it does not appear to change the level of the autophagy suggesting that the biological effects of treatment with Anle138b is cell-type–specific (Click here to read more about this). In cancer cells, it is having a different effect to that in brain cells. These differences in effect may also relate to disease conditions though, as Anle138b was not neuroprotective in a mouse model of Multiple System Atrophy (MSA; Click here to read more about this). Is Anle138b being tested in the clinic? Ludwig-Maximilians-Universität München and the Max Planck Institute for Biophysical Chemistry (Göttingen) have spun off a company called MODAG GmbH that is looking to advance Anle138b to the clinic (Click here for the press release). The Michael J Fox Foundation are helping to fund more preclinical development of this treatment (Click here to read more about this). We will be watching their progress with interest. Summing up: There are many mysteries surrounding Parkinson’s disease, but some researchers from Germany may have just solved one of them and at the same time developed a potentially useful new treatment. 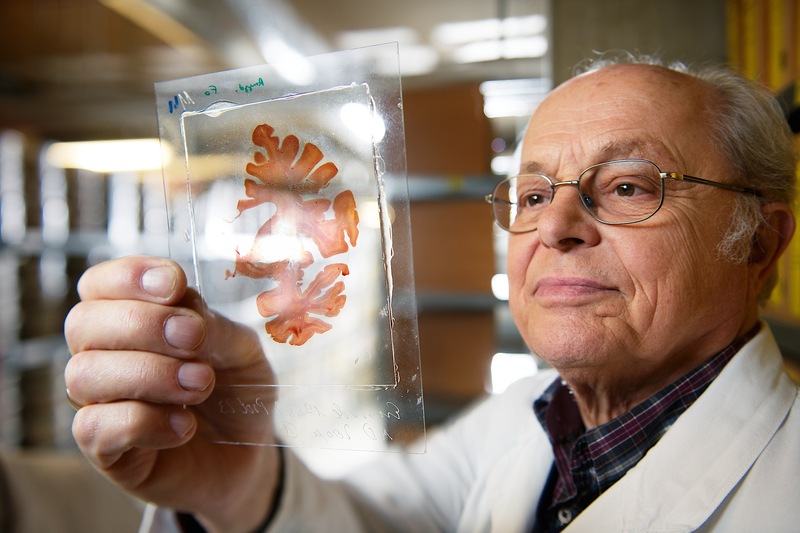 They have discovered that the Parkinson’s associated protein, alpha synuclein, which is produced in large amounts in the skin cancer melanoma, is actually playing an important role in keeping those cancer cells alive. By finding a molecule that can block the build up of alpha synuclein, they have not only found a treatment for melanoma, but also potentially one for Parkinson’s disease. And given that both diseases are closely associated, this could be seen as a great step forward. Two birds with one stone as the saying goes.